UK-based Nigerian, Dr. Abdullahi Shehu, Consultant Neurologist and Deputy Lord Lieutenant, West Midlands has been awarded the membership of the Order of the British Empire (MBE) by Her Majesty, the Queen of United Kingdom. The award was conferred on him on August 16, 2018. 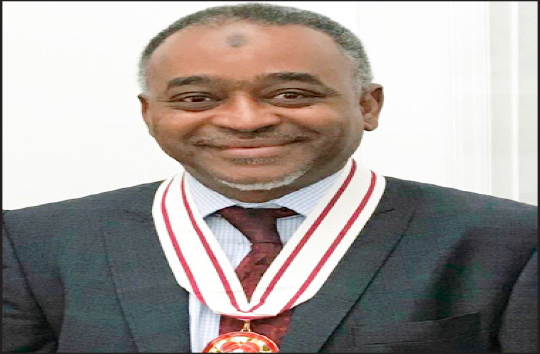 His childhood friend and President of the Pharmaceutical Society of Nigeria (PSN), Pharm. Ahmed Yakasai disclosed this in a congratulatory message. Dr. Shehu is from Yakasai, Kano and elder brother of the former President of the Nigerian Society of Engineers, Engr. M B Shehu. He left Nigeria for UK in 1986, moved to Coventry in 1993 and became a Consultant Neurologist in 1996. He was a Clinical Director for eight years, then Divisional Medical Director for four years. His commitment in community work has seen him serving in different capacities ranging from the Chairman of Muslim Doctors and Dentist Association (UK) – a registered charity for four years as well as Chairman of Health and Medical Committee of MCB for four years. He received the Coventry City Merit Award in 2014 and now conferred with an honour of MBE. “It is with great pleasure that I write to congratulate my confidant for this accomplishment who has been graciously conferred with an honour of Member of the most excellent Order of the British Empire (MBE) by Her Majesty, the Queen of the United Kingdom in recognition of his services to Healthcare and Voluntary Services to community cohesion in Coventry,” Yakasai said.